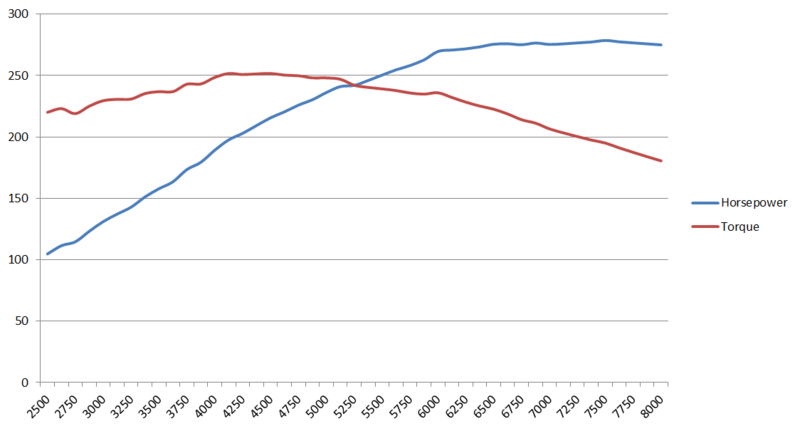 Only difference is that this graph shows a full supersprint system over just the headers. A small gain from the complete header back system. All of the highest powered cars we have tested have all had full supersprint exhausts. The 3.5" exhaust from BW certainly seems to add top end power at the expense of alot of low end torque but a good upgrade for those wanting to remain over 4000rpm most of the time. Yup, I am definitely happy with my setup so far. New spark plugs should be going in this morning and more dyno time has already been scheduled for next Saturday. A little disappointed in the numbers, though I do think the cheap Sam's Club gas hurt me a little (maybe it's placebo, but the car felt like it pulled harder when I had a tank of Shell V-Power). When there's another dyno day near me, I'll try a better tank of gas (maybe will mix in a few gallons of 100 octane) and will make sure they can get access to the RPM pickup next time. Last edited by terraphantm; Sun, Jun-05-2011 at 04:23:26 AM. Power seems low you should have been close to 300 whp..
You can get the RPM of the engine without removing the plastic head cover. Hence my disappointment. It was a bit warm/humid that day, and the guys didn't seem to know how to setup the correction factors, so that may have brought me down a little bit. There were a couple other cars that dyno'd lower than the owners' expectations too (though nothing was too terribly off). If there is another dyno day somewhere in the mid-Atlantic or tristate areas anytime soon, then I'll repeat it. Last edited by terraphantm; Sun, Jun-05-2011 at 02:00:56 PM. Car is way too lean. Also run dyno SAE smoothing 4. With just Euro Headers and a stock Euro DME, I think 300whp is a little optimistic. 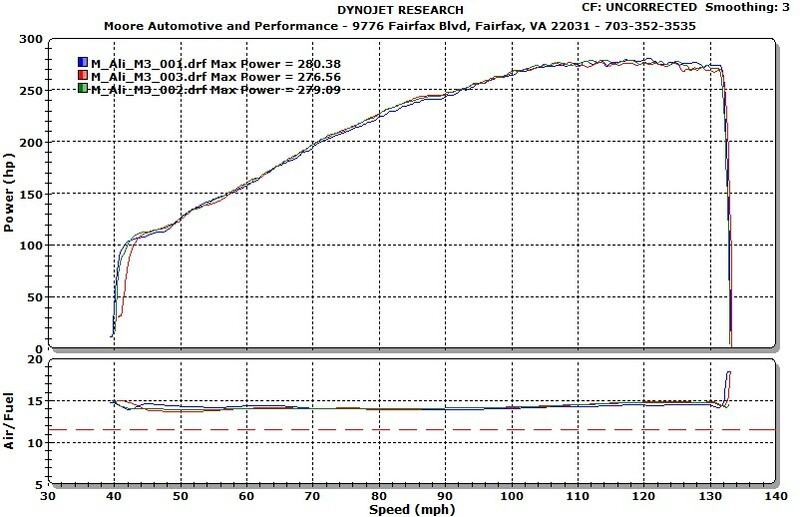 From my own research, it seems like the average stock US Spec M3 makes about 270-275whp on a realistic average dynojet. With my stepped headers, I put down about 292whp UNC. From what I have been told, the stepped headers typically add 10hp on top of Euro headers. Although it's not an ideal comparison, looking at my numbers and yours, things seem to line up pretty well in terms of gains. In the end, as long as you can feel a difference that's what matters. It seems like either way you are still making good power. I'm sure the poor gas quality will make a difference. I typically feel a difference when I use different fuel brands. Now, I try to stick to the same exact Shell station every time I fill up. All times are GMT. The time now is 08:26:28 AM.